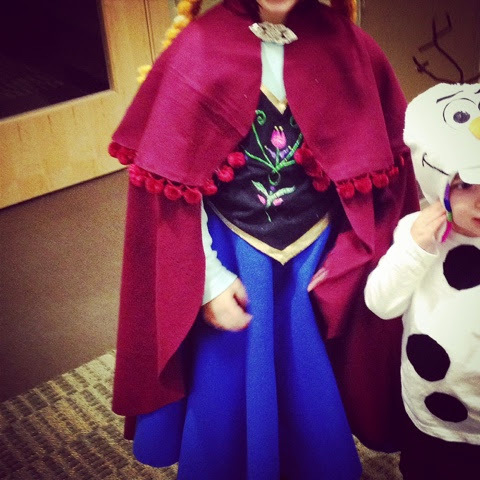 This last week was filled with pumpkin strolls and hot glue gun burns as I finished making Halloween costumes. I also continued to Slog Through the Slogfest of Draft #3 of #TheRobotStory (aka, His Favorite Distraction). 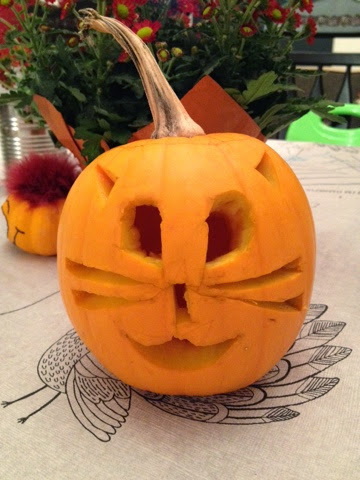 La Petite's Kitty Cat Pumpkin. 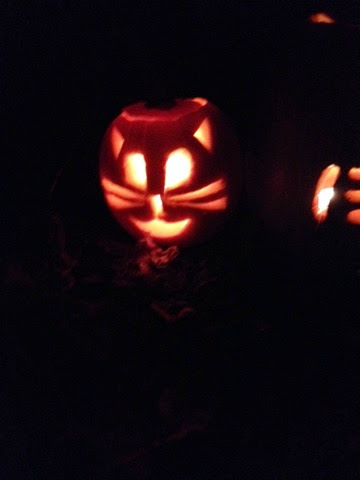 The Kitty Cat pumpkin lit up along the stroll. Those costumes! All glue, velcro, and a teeny, tiny bit of my blood. I at least had a break from making dinner--we had a lot left over from our Christmasgiving on Sunday. 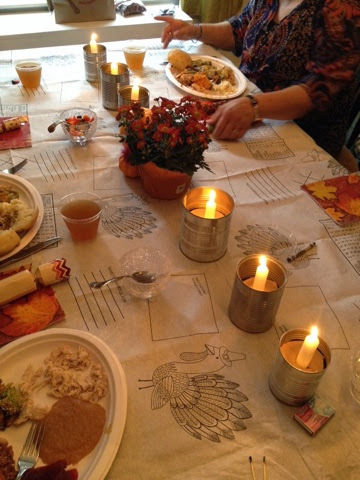 Christmasgiving done simple--including soup can candles. 2) I used my Social Media Minions to decide on a cover for #TheRobotStory. 3) I brainstormed promotions (and set them up through BookGorilla, eReaderNews Today, Goodreads Giveaways and three Blog Hops). 4) I worked on a Super Secret Collaborative Project, something that always helps me shoot some adrenaline into my sloggy writing ways. 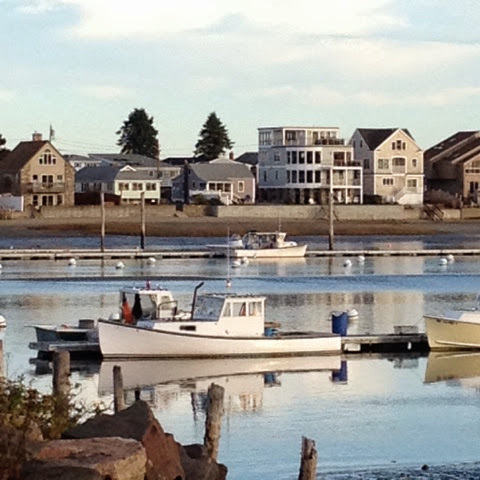 And I also found myself in Maine looking at these homes and going, "Wow, this is where my Annaliese and Matt love and fight and fight some more!" 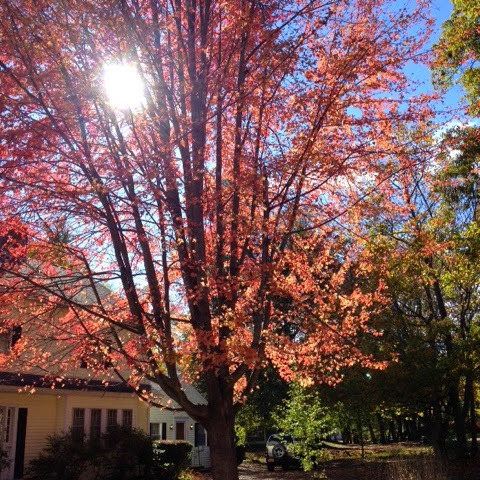 And now I am back to my story and trying to unknot the mess. I always have a mess at this point. And I always drag my feet at this point. 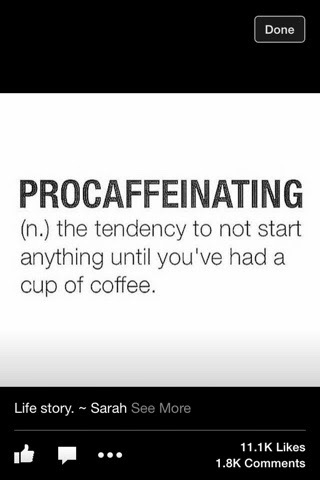 Anyone else drag through the slog?